In this episode we chat with Margot Nash about her incredibly moving new documentary “The Silences”, which is screening as part of this year’s Melbourne International Film Festival. 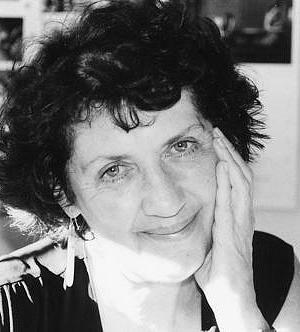 Margot is a Sydney based Screenwriter, Director, and Academic. She initially began her career as an actor for film & TV, before moving on to creating her own works, including the features "Vacant Possession" and "Call Me Mum". "The Silences" is screening at MIFF on Saturday the 8th of August at 4:15pm. So if you can make it, head on down and check out this brilliant documentary! Big thanks to Rachel Cassar and MIFF for making this episode possible. "The pressure to come up with a finished script before you start a film, I think, is a killer sometimes. And to fit into certain moulds. You know, what do people want? Well, ok, we'll write that. But it's not coming from the heart." "I was very inspired by an Australian artist called Susan Norrie who said 'I like falling into an unknown space'. And I thought, I want to fall into that unknown space. I want to work intuitively. I want to have that opportunity to be discovery driven..."
"Creativity is about a balance of spontaneity and discipline, of logic and reason. As artists, as filmmakers, you're always balancing those two things. But the film industry is so money driven, it's so market driven, we always have to lock it down, it has to be logical. And I was pushing that let's try, particularly in the early stages of development of a project, to drop into that unknown space..."
"I think when we make creative works like films, we transform our experience. It’s a transformation process that happens. If it doesn’t, it’s not going to speak to anyone. Then it just becomes me and I and confessional and all that stuff... I think that’s what the creative process does, transform all the mess. And that’s what I teach my students to do, and to try and allow them to muck around in the mess for a while and see what comes out of it."